My earliest cheese memory has to be at my Great Grandparents house, we used to visit every night after school and without fail in their fridge there was always a block of Cheshire and a block of Cheddar. They weren’t the biggest fans of cheese themselves, but always had it in the fridge for my mum, brother and I to gorge on when we visited. One of my fondest memories as a child is helping my Gran in the kitchen. After we’d finish she’d prepare me a plate of sliced granny smith apple with matching slices of cheddar and I couldn’t (and still can’t) get enough of this sharp, sweet and savoury combination. Hmmm, this is a tough one! If I had to choose, I’d probably go with Tunworth a soft, pasteurised cow’s milk cheese from Hampshire. This is one of my consistent, favourite cheeses – it’s great baked (although that might prove difficult whilst stuck on a desert island!) or at room temperature. The texture is soft and oozing with a rich and intense, fruity and savoury, mushroomy flavour. A slice of Tunworth could never not make me happy! Sparkenhoe Red Leicester – the only raw milk Leicester to be made on a farm in Leicestershire. 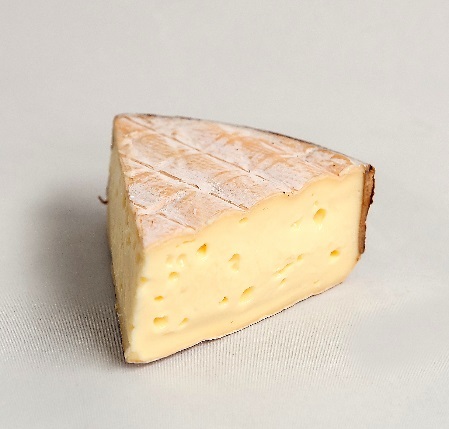 Waterloo – a rich, buttery soft cheese made with channel island milk. 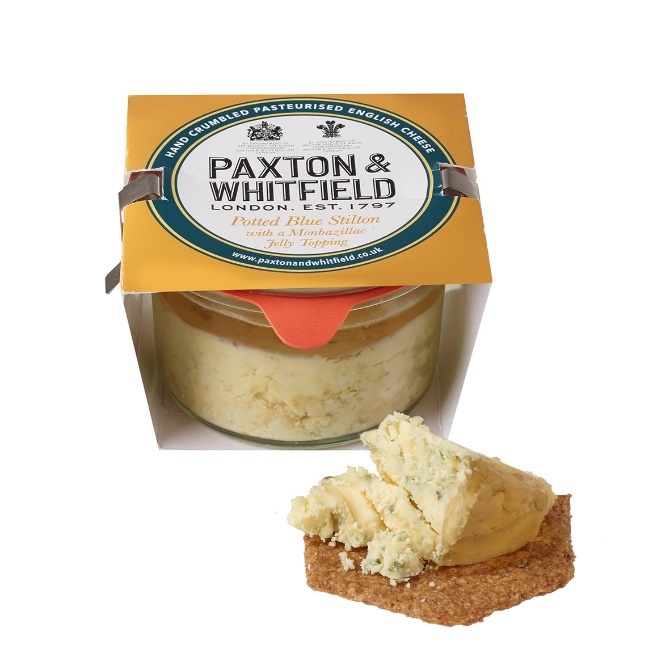 Stichelton – akin to Stilton but made with raw milk. I love the combination of dessert wine and blue cheese, the sweet and salty combination is so moreish and the flavour combinations balance each other out perfectly! Cashel Blue and Monbazillac is the perfect example of this, although I love the added texture provided by Paxton & Whitfield’s Stilton topped with Monbazillac Jelly. Not the most sophisticated of dishes, but definitely comforting, I love Mac ‘n’ Cheese! My favourite combination of cheese for this is a good Cheddar (my choice would be Montgomery’s) mixed with a smoked cheese (Smoked Lincolnshire Poacher works great!). The recipe is really simple and provides almost instant cheesy gratification! 1. Put the pasta on to boil in salted water; drain well and set aside. 2. Create a roux (melt 80g of butter in a pan and add 3tbsp of plain flour), cooking this out for a few minutes. (I add some minced garlic at this point too, however this can be left out). 3. Slowly whisk in 600ml of whole milk (do this gradually to avoid curdling the milk), keep stirring until the sauce is lump free– leave this to simmer for a couple of minutes until thickened. 4. Now, it’s time for the fun part, it’s time to add the CHEESE - add 500g of grated Montgomery Cheddar and 200g of cubed Smoked Lincolnshire Poacher to the mixture (the cubes melt down slightly differently and create gooey, pockets of smokiness to the sauce), I also add 1 tbsp of mustard powder and 1 tbsp of Marmite (although this is optional for me the marmite adds a great umami flavour). Season with salt and pepper to taste. 5. Mix the pasta and sauce together, and transfer into a baking dish, scatter with breadcrumbs and bake for 30-35mins or until it is browned and bubbling with cheese! This is a delicious dessert wine from vineyards overlooking the Dordogne. An ideal partner for many cheeses especially Roquefort, Fourme D'Ambert and Bleu D'Auvergne or, in fact, any dessert. Only available to customers aged 18 and over.